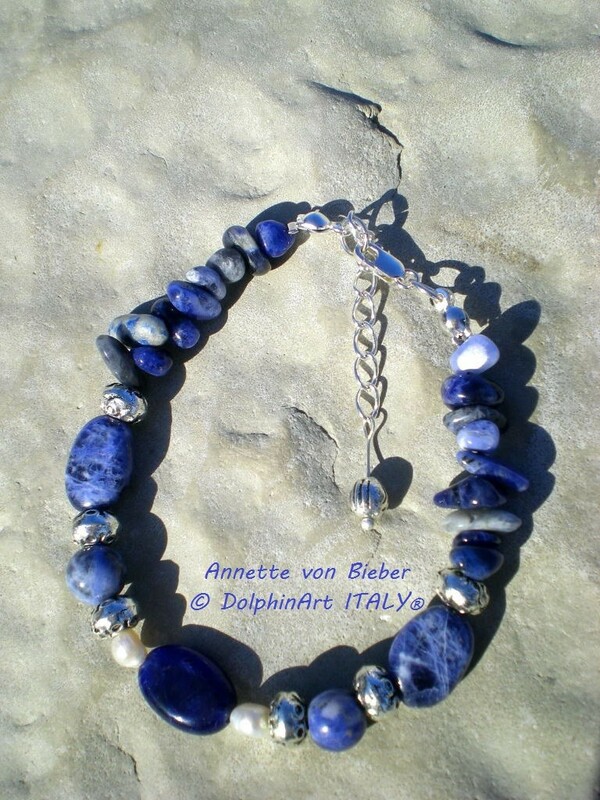 Bracelet with 3 Sodalite ovals 10x14 mm, 2 Sodalite beads 8 mm, Sodalite chips, 2 Freshwater Pearls, metal pearls, a small chain with metal pearl and snap hook in silver. 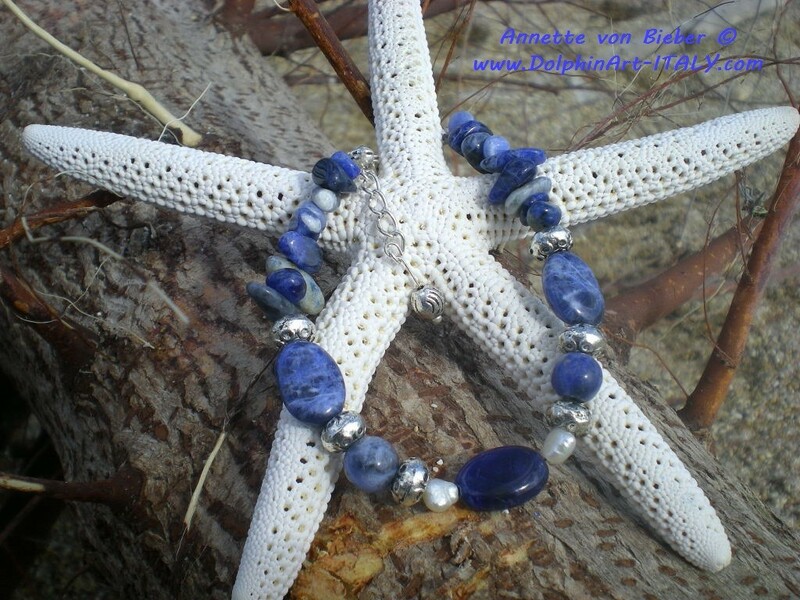 Sodalite helps for self-confidence, against nerviness, grief and manipulation. 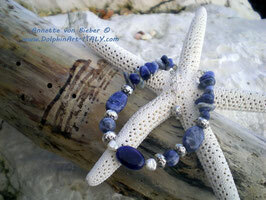 These gemstones work well for the zodiac sign PISCES.